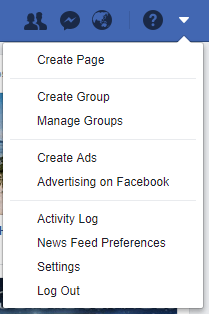 Choose “Create Page” from the drop down arrow located at the upper right corner of your Facebook page. Create a page for a local business. Address: On three separate text boxes, provide the street address, city/state, and zip code of your physical location. Be as accurate as possible as this will help customers find your business much easier. Phone Number: Include your phone number so people can call your store directly from your Facebook page. 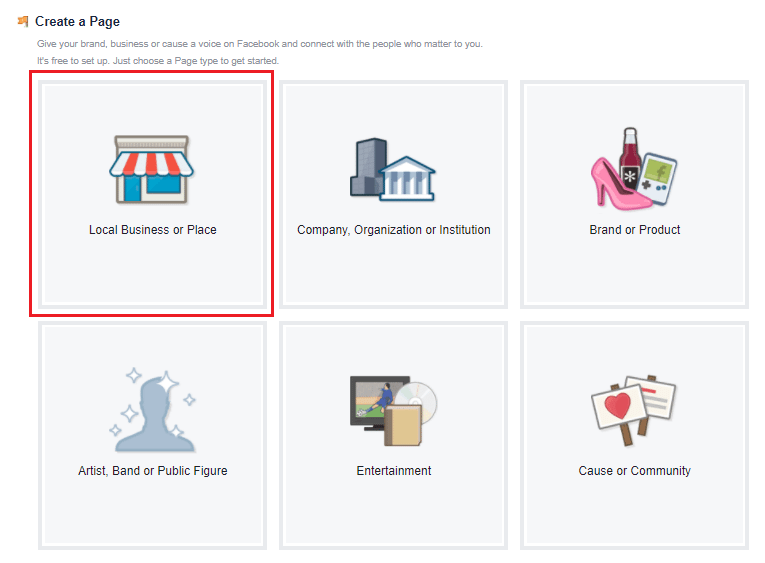 Facebook now requires local business or place to provide all the information above before allowing you to create a page. You won’t be able to move on to the next step without the information above, so have it handy when creating your Facebook business page. 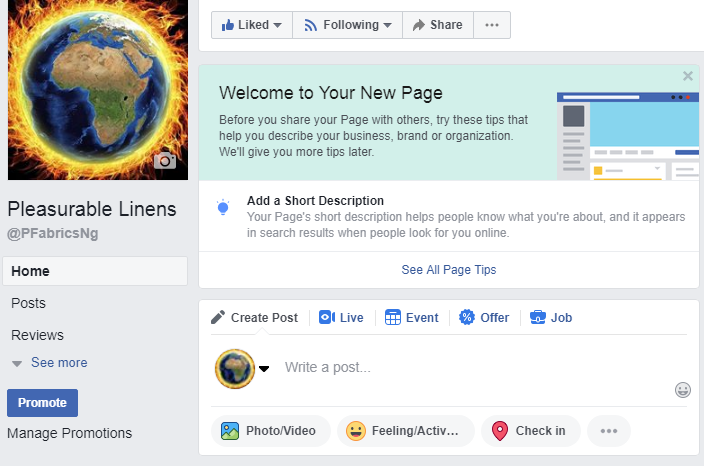 Basic business information required to set up your Facebook business page. Choose a profile picture that will draw people to your page. One idea is to use a picture of your product. You can also use your logo or other images customers associate with your business. Use a high resolution profile picture when creating your Business Facebook page. 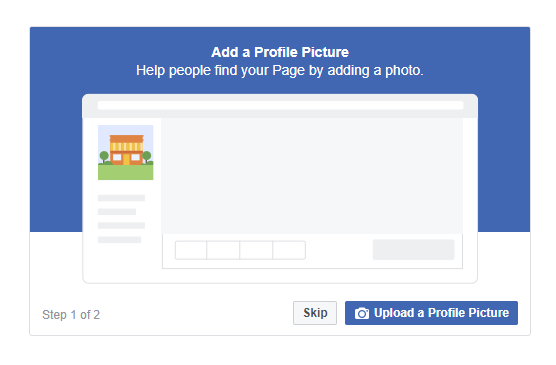 Once you upload your profile and cover photos, the initial setup is done, and you will be taken to your new Facebook business page. We recommend following the steps below to fully complete the setup of your new Facebook page. On the first screen after uploading your cover photo, you will receive a prompt to invite your friends. Invite as many of your friends as you can to increase your page following. Get the first few followers on your Facebook business page by inviting friends from your personal account. Create a Group – Create a space where your customers can connect with each other and discuss your products or services. 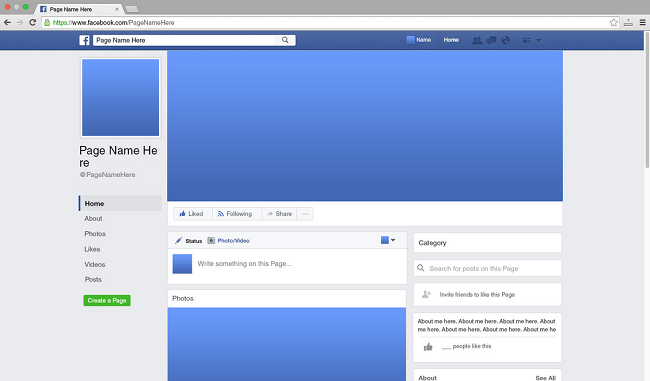 Complete your Facebook Business page profile. Get in Touch: Let customers contact you on the page via phone, a custom form, direct message, etc. Make a Purchase or Donation: This can be used to link directly to a product page on your website where customers can purchase products. Add a button that will make a direct impact on your sales or business. For example, if you own a restaurant, you can use the “Book Services” button to allow customers to make a reservation. You can also link this button to a specific page on your website to drive traffic to your site. Different types of buttons to use on your business Facebook page. If you follow the steps above, your business page on Facebook should now be ready! Note that you can easily customize your page should the need arises. For example, you can easily change the page button from making a reservation on your website to learning about a new product through a video. No matter your marketing goals, you will always have full control of the content on your business Facebook page. 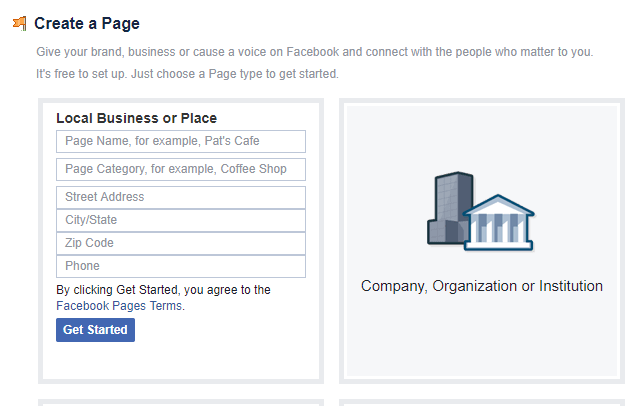 Next Post Steps in Creating a Facebook Business Page Using Business Manager. FreshMinds is a business development firm with strategic focus on digital business consultancy.